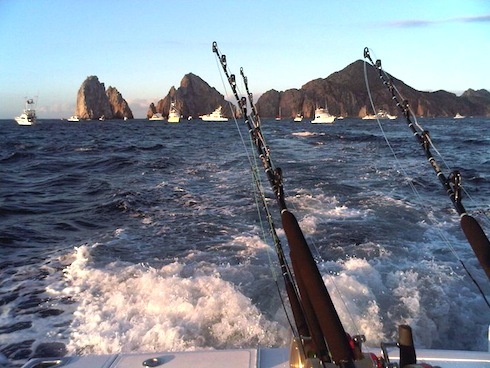 Today is the second day of fishing in the Bisbee’s Black and Blue Marlin Tournament, the richest fishing tournament in the world. 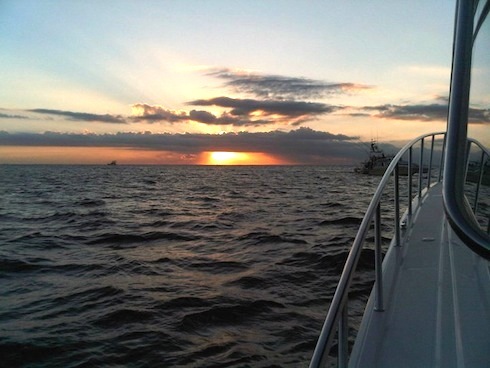 The boats set out early this morning at 8 am hoping to catch that giant marlin that will bring them home the big bucks. 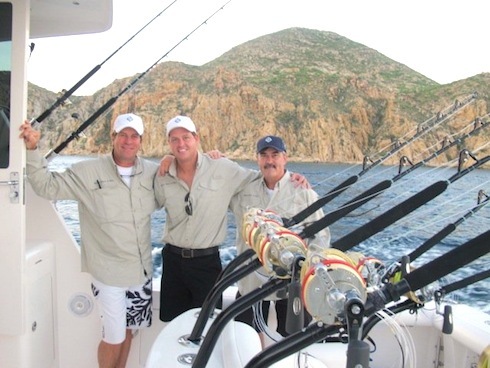 What is it like out there off the Cabo shores, hoping that you will reel in the big one? Chris Snell and Andy Lemke from Team Snell have been kind enough to share with us some of their Bisbee’s experience – from preparation rituals to superstitions. What are your team’s superstitions (other than $100 bills)? 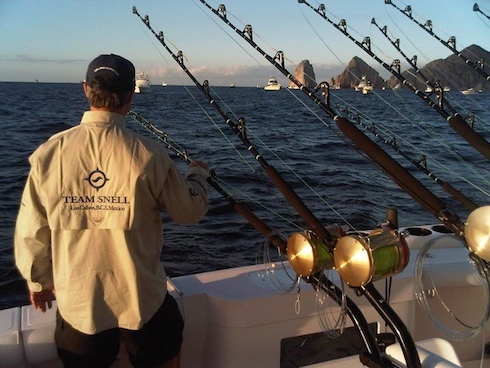 Who is on Team Snell? What is the team’s favorite “big fish” story? 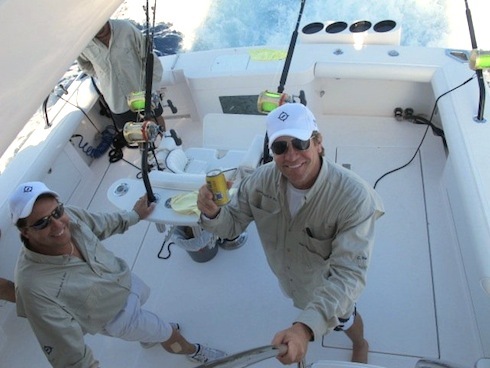 What is the biggest marlin any one on the team has caught? What is your favorite part of the Bisbee’s Black and Blue Tournament? Does the team have any pre-tournament preparations or rituals? What do the team members to do to practice for the Bisbee’s? 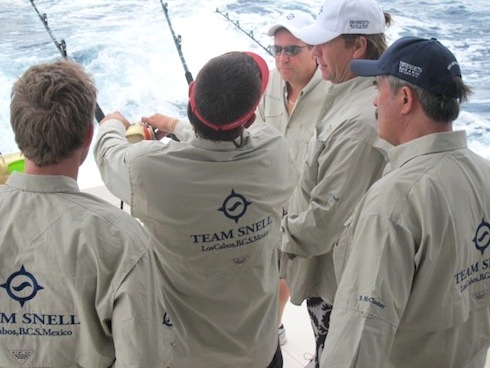 How does Team Snell celebrate a catch? Is there anything special about your boat – the Ginny Mae? For non-tournament participants, what is the best place to watch the event? “The Office on the beach at 7:30 a.m. and watch the guys roar out of there. 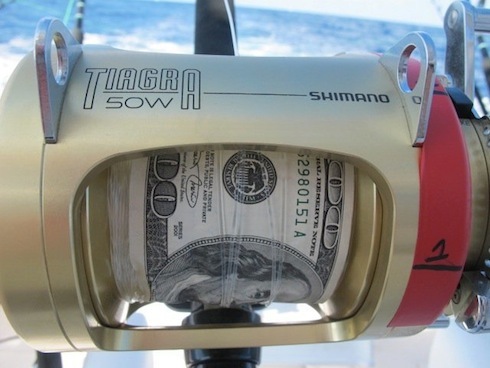 Or get a water taxi.” – Chris Snell. Chris Snell has participated in the Bisbee’s five times over the years and his company, Snell Real Estate, has been a sponsor of the event eight times. The team consists of Chris Snell, Andy Lemke, Greg Casillas, Tom Boyce, Bob Howard, Fred Malone, Gary Smith, Bo McCloskey, Murray Sinclair, and Chris Sinclair. No women of course! We wish Team Snell good luck. 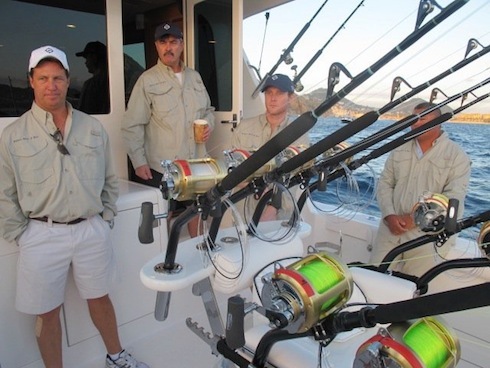 We hope they have plenty of beers to keep the fish gods happy and that they keep the tequila handy for when the big fish show up.